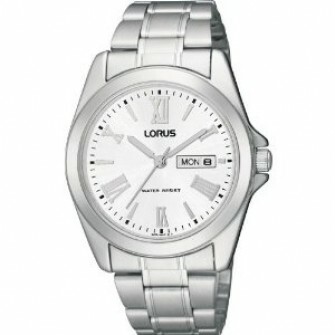 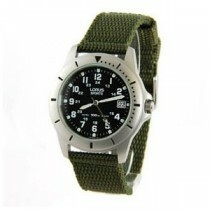 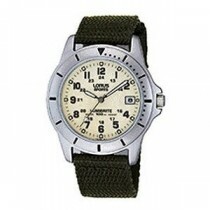 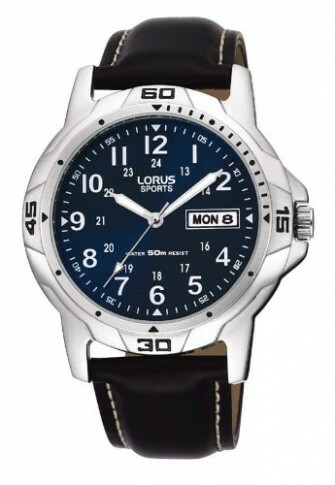 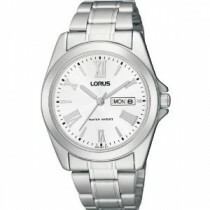 This Lorus Gents watch has a stainless steel case surrounding a white dial with a date window. 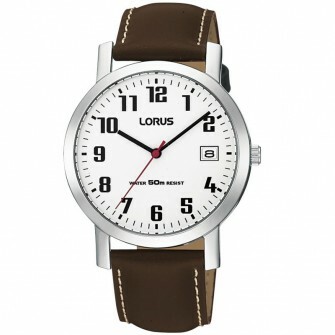 The strap is brown leather with a buckle. 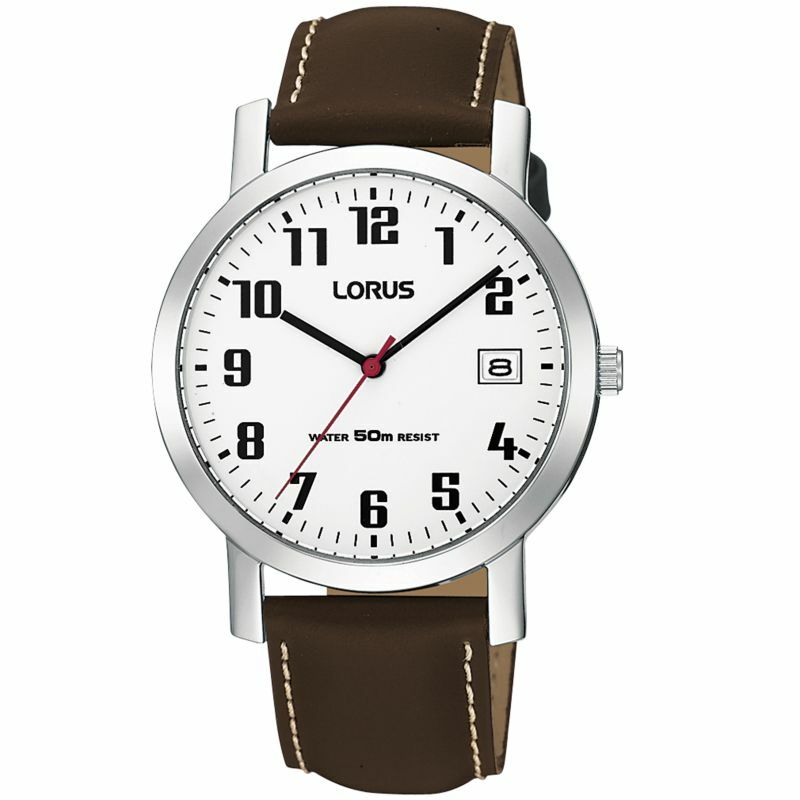 We obtain our watches directly from Lorus and each watch comes with complete instructions, packaging and the fully stamped official Lorus guarantee.